As parents we have enough to worry about when it comes to ensuring our children eat the healthiest foods, and breakfast cereal can prove especially difficult. Kids’ breakfast cereal is delicious, brilliantly marketed, and full of sugar. And now comes news that for one of the most popular breakfast cereals, its sugar content isn’t the biggest concern. Kellogg’s has issued a recall of their Honey Smacks cereal for salmonella. 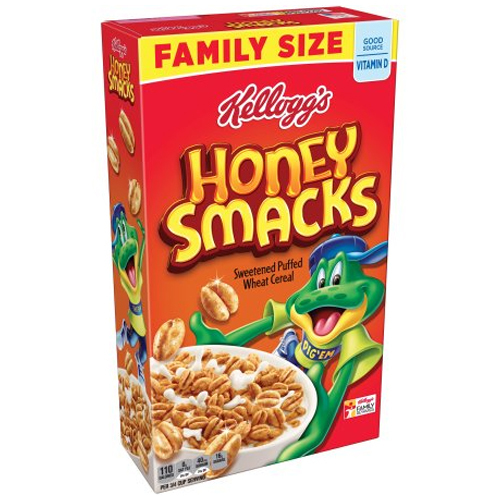 It is recommended that consumers discard or return any Kellogg’s Honey Smacks cereal (with a “best if used by” date from June 14, 2018 through June 14, 2019), or return it to where it was purchased for a refund, even if it’s been opened. It’s also important that you thoroughly clean any containers that where you may have housed the cereal outside of the box. If you’ve consumed the potentially toxic Honey Smacks, you should be on the lookout for the next 12-72 hours for symptoms of diarrhea, fever, and/or abdominal cramps. If you believe that you or someone in your family has contracted salmonella, you should contact your healthcare provider immediately.